The hardest part of travel's deciding where to eat. We’ve got you covered with the best restaurants in Santa Barbara. It gets hard. There’s only so many meals you can eat in a given day. 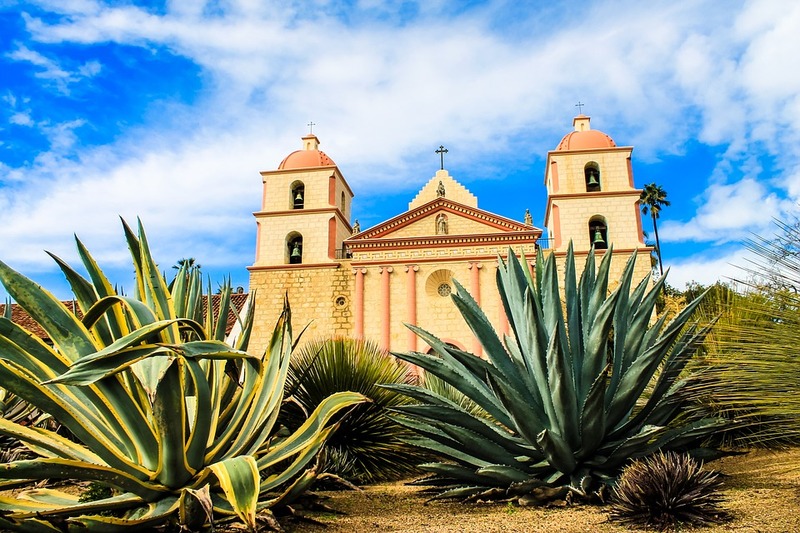 How can you possibly squeeze the best restaurants in Santa Barbara into one trip? Well, we’ve made it easy for you by taking the guesswork out of it. The eateries on our list are tried and true favorites. When the locals flock to get in the door, you know it’s got to be good. From icons and classics to new places popping up, you’ll find everything you need here. Local seafood catches, a clam bar, and signature Bloody Marys are served up in a bustling, casual harborside space. Take a seat with a view. Just outside, you’ll see beautiful views of the mountains and harbor. Ever since 1986, this little joint has kept guests coming back. The food is great and you can’t deny the waterfront appeal. Just a little heads up… Brophy Bros. is always packed during peak hours but given that it’s open from 11:00 am to 10:00 pm daily, you have plenty of time to find a spot. If you plan your visit strategically, you can get in without a wait. There’s also plenty of seats - and friendly faces at the bar. Bouchon offers Californian French cuisine made with organic farm-fresh ingredients and paired with local wines. If you’re looking for a quiet, intimate place to share a meal, this lovely eatery is just the place. With a warm and inviting ambiance, you can dine at your own leisurely pace while enjoying an authentic regional wine experience. The exclusively “Santa Barbara County” wine list has earned them a place on Wine Spectator’s magazine as well as an “Award of Excellence.” They’ve also been voted by Tripadvisor as a “Hall of Fame Recipient.” It’s easy to see why. The ambiance is lovely and have you seen their menu? Enticing options like burrata avocado toast, forest mushroom ragout, and hamachi carpaccio are too good to turn down. This urbane eatery housed in a former fish market offers New American fare in wood-lined quarters with a patio. The Lark was named for the sleek overnight Pullman train of the South Pacific Railroad. Offering 130 seats, you’ll find it right in the heart of the Funk Zone, a vibrant arts district teeming with surf shops, local galleries, and a popular Wine Trail. This charming eatery brings the whole community together in a unique place of celebration. We love that the menu options are not only locally sourced but responsibly grown. Seasonal ingredients keep the food fresh, served up family style for sharing. Looking over to the full bar, you’ll find a series of classics as well as craft cocktails using the finest artisan spirits and mixers. 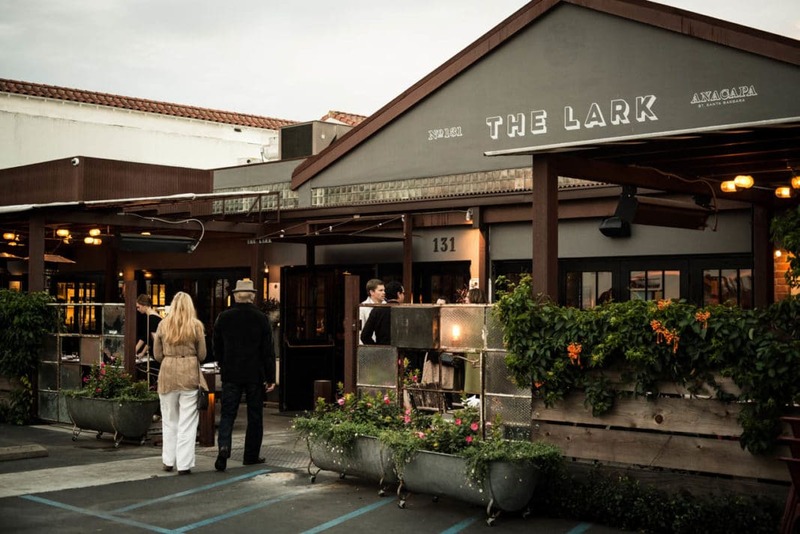 The Lark’s comprehensive wine list highlights small Santa Barbara producers and winemakers. The vision of the folks at The Lark was to make a space that brings together a diverse audience in an exceptional spot. The restaurant's designer, Doug Washington, did just that. The interior and exterior spaces he designed integrate an urban style with repurposed vintage pieces for a sophisticated yet casual vibe. Unique handmade furniture adds a homey touch as well as communal tables and original lighting. If you’re looking for a fun shared dining experience with artisanal ingredients, this is one of the best restaurants in Santa Barbara. This celebrated Mexican spot offers fresh fish tacos, tamales, and more served up in modest digs with patio seating. Are you looking for a laid-back, affordable eatery? 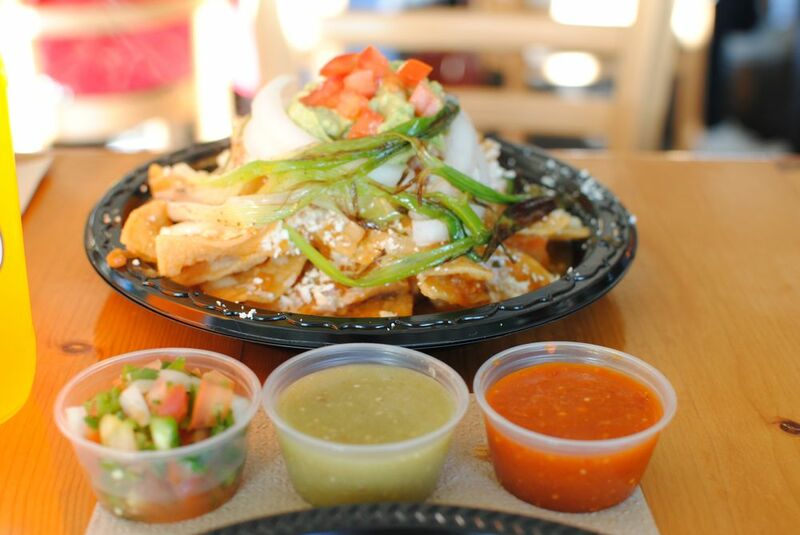 La Super-Rica Taqueria offers just the thing. This humble spot on Milpas Street was a favorite hangout of the late Julia Child. She raved about it in interviews and even took some of her food critic friends out to try the goodness for themselves. Let’s just say the frequent lines out the door speak for themselves. Translating to mean “oil and lemon,” this bustling go-to Sicilian eatery serves fare and wine in a white-tablecloth dining room. When the husband and wife duo Alberto and Elaine Morello first opened the restaurant back in 1999, their goal was simple. They wanted to rely on the integrity of their ingredients and the quality of the atmosphere to create an authentic dining experience. It’s safe to say they succeeded. Guests line up outside the doors for the mouth-watering dishes. Also the chef, Alberto draws his inspiration from all over Italy but focuses mostly on Sicilian dishes. As Director of Operations, Elaine oversees the decor, lovely and tasteful. We particularly love the wine cellar, which provides guest with over 230 selections. 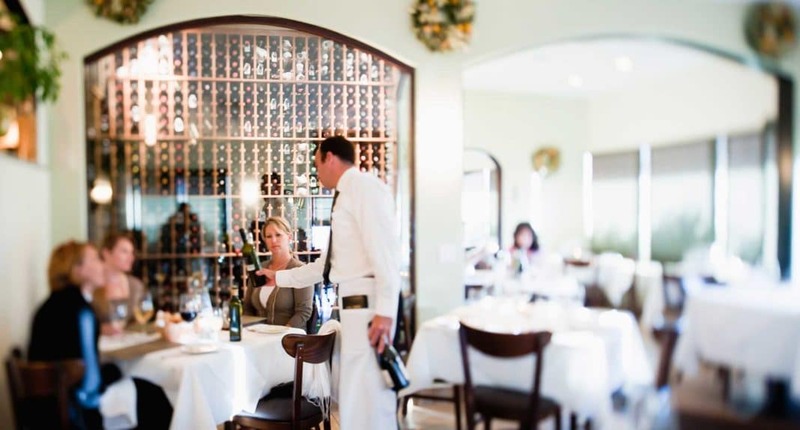 This extensive list has earned te restaurant the coveted Wine Spectator Award of Excellence since 2002. This stylish American eatery serves California-inspired fare, a big wine list, and housemade desserts. A rustic-chic space, Barbareno clearly draws its inspiration from the area’s Chumash Indian heritage. 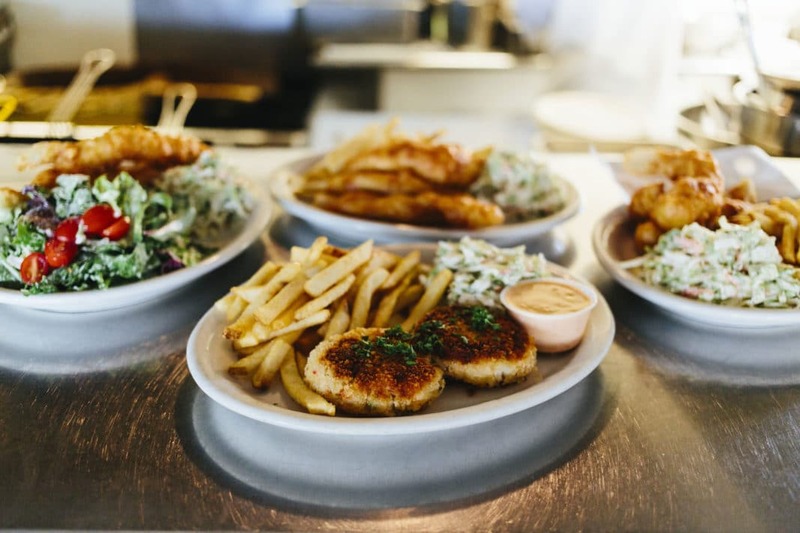 We love the modern, quality coastal cuisine. Choose from menu options including bacon-date bao buns, santa maria bbq, and a fresh summer salad. 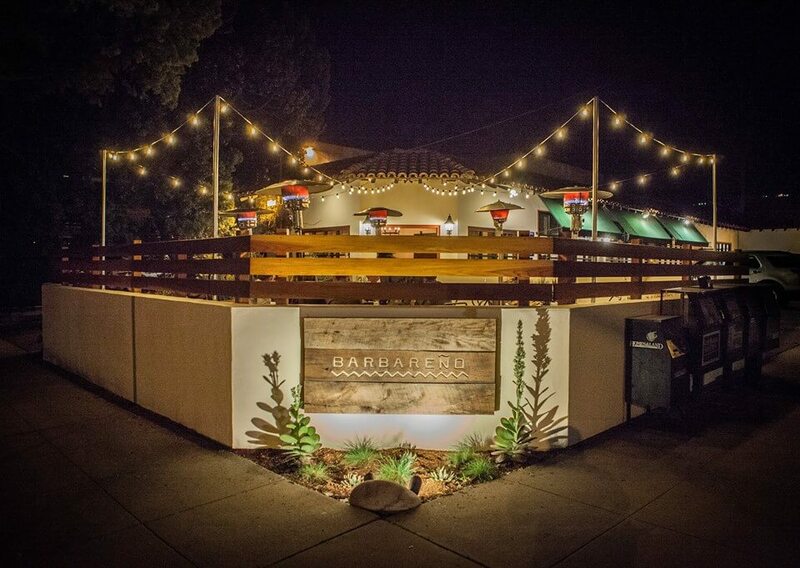 At Barbareno, the staff seeks to not only continue but also develop California’s Central Coast cuisine. 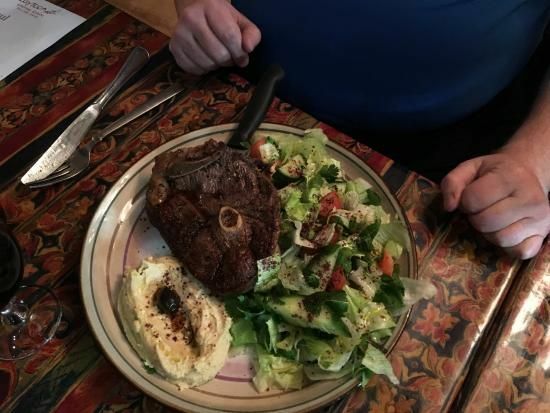 They draw their culinary inspiration from traditions and specialties in the area, unique to the region. In all of their efforts, they hope to capture the spirit of a particular place or flavor. We love how they embrace the subtle tastes to bring a world of stories to the drinks and foods close to home. Using carefully-sourced ingredients of the region, they take creative twists on dishes once familiar. It’s always guided by the seasons and mixed with enticing new flavors. We know you’ll love this place just as much as we do. It’s truly one of the best restaurants in Santa Barbara. This cool farm-to-fork spot features Southeast Asian small plates, plus a courtyard strung with lights. Are you looking to dine somewhere effortlessly hip and contemporary with a kick of spice? Get yourself on over to Sama Sama Kitchen. This dinner-only restaurant features fresh ingredients prepared from local farms. A bright, airy space, it’s quite unlike any of the other eateries in the town. The bold, innovative flavors will surely not disappoint. Opal Restaurant & Bar is the perfect go-to for globally influenced Californian fare. You’ll also find delicious specialty drinks and bustling street views. 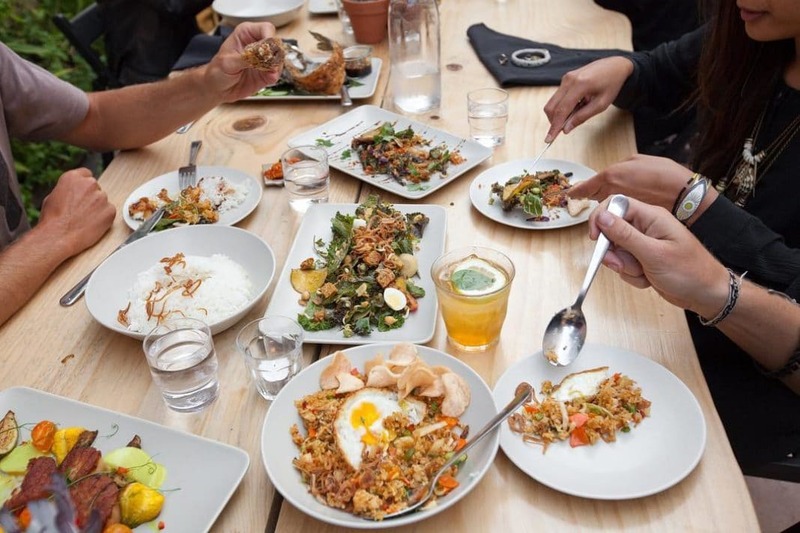 A favorite among locals, this restaurant infuses eclectic elements of California cuisine with creative influences from around the globe. In addition, their chefs use only the freshest ingredients inspired by America’s multicultural heritage. More often than not, these dishes incorporate an Asian flair. 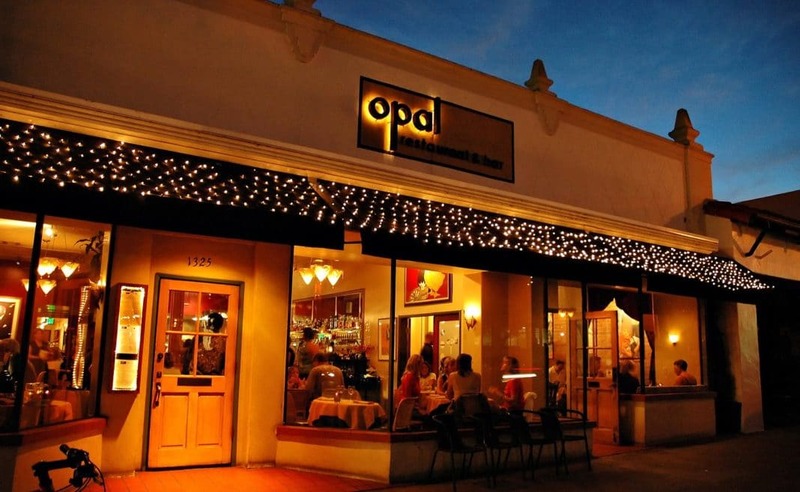 We particularly love Opal’s unique list of specialty martinis and the Wine Spectator award-winning wine list. Here, you’ll not only find the classic dishes you love but also fall in love with new flavors. They are always evolving, adding new and interesting aspects to their drinks, dishes, and style. This comfy spot offers delicious Lebanese & Middle Eastern fare in a space with an outdoor fire pit and weekly live entertainment. Named after a Lebanese word for olive, you’ll find this charming eatery in the heart of SB. The outdoor patio incorporates elements of glowing fire pits and the sound of rushing water for a unique and relaxing ambiance. Ever since they opened in 2005, guests have been flocking to their doors. We highly recommend going for dinner. Choose from menu options like cheese sambousek, batata harra (spicy potatoes with lemon and garlic), hummus, and tabouli. Our mouth is watering already. Zaytoon is truly one of the best restaurants in Santa Barbara. We know you're going to love it just as much as we do. 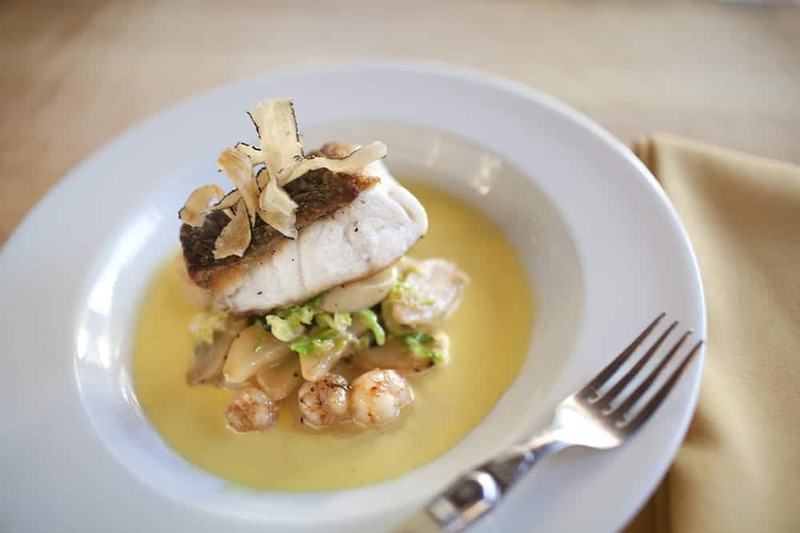 We hope you enjoyed reading our article on the best restaurants in Santa Barbara. As you can see, this city offers a diverse culinary cuisine perfect for foodies. Which restaurant on our list do you want to try the most? Let us know in the comment section below.